Miracle-Gro All Purpose plant food is a water soluble (liquid or powder mixed with water) fertilizer. The product is designed to enhance the growth of flowers, vegetables, trees, shrubs, lawns and houseplants by replacing nutrients depleted from the soil. 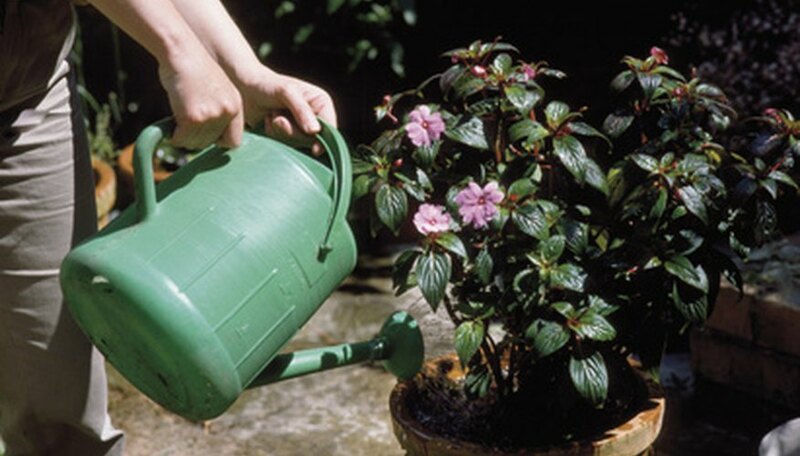 Miracle-Gro’s directions for use indicate the fertilizer should be applied every seven to 14 days. The package is labeled as a 24-8-16 blend, which means it contains 24 percent nitrogen, 8 percent phosphorus and 16 percent potassium. Nitrogen, phosphorus and potassium are macronutrients. Nitrogen is an element of protein and DNA (deoxyribonucleic acid), which helps the plant to grow. Phosphorus is a component of DNA and involves energy conversion. Phosphorus is provided in the form of phosphate. Potassium is chemically-created and called potash a name derived from potassium ash, a byproduct of incinerated plants. Additional ingredients of Miracle-Gro include boron (.02 percent), copper (.07 percent), iron (.15 percent), manganese (.05 percent), molybdenum (.0005 percent) and zinc (.06 percent). Needed by the plant in smaller amounts, these essential enzyme ingredients are known as micronutrients. Micronutrients can react with other soil elements so 1.2 percent EDTA (ethylenediaminetetraacetic acid) is added as “chelating agent.” A chelating agent binds micronutrients making them available for absorption to the plant.